In the United States, large portions of the clothing market have become dominated by cheap, low quality, clothing, made out of materials that are ecologically unsustainable in the long run. These clothes are produced in countries with low labor costs and sold in large quantities by outlet stores, such as the giant distributor Walmart. While the costs of this cheap clothing seem low, there are hidden consequences to both humanity and the environment that make this clothing not the best choice for supplying our population with clothes. Clothing starts in the growth of the material used to create the fabric. The material to make clothing must either be grown or fabricated (ex. with synthetics, like polyester). Depending upon the types of fabric used, the costs are wildly different—grown materials require land use, water costs, and transportation costs, while synthetics require raw materials (often petrochemicals or plastics) and facilities. Cotton is the most common material used to create clothing in the United States, particularly cheap clothing. A vast majority of the cotton grown for the purpose of clothing on earth is grown in China, the USA, India, and Pakistan. The price of growing cotton is variable depending upon the country, and it is less expensive to grow it in countries like India and Pakistan than the United States. 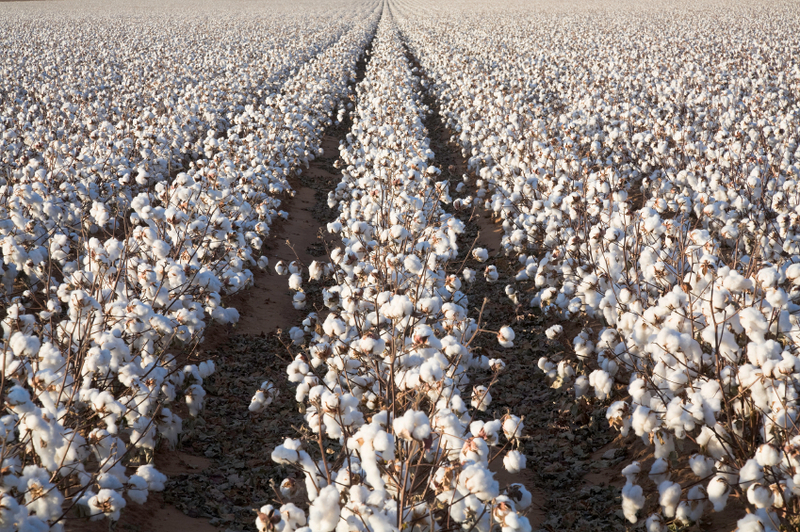 Countries like India, China and Pakistan have very low labor and land costs compared to more developed cotton producers, thus it is these countries which get large amounts of business from corporations intent upon producing cheap clothing. There are numerous issues with cotton production, including the exploitation of workers, excessive water costs, and the heavy use of strong pesticides. Cotton farmers in lesser-developed countries often end up selling their crops at low costs and at barely subsistence prices. Many of these farmers barely make enough money to meet their needs and provide for their farm’s continued operation. This exploitation of cotton producers is necessitated by the increase in cheap clothing sales, as clothing producers simply will not pay a higher price for cotton. In looking at the direct costs of cotton production, land use and water consumption are the two primary direct costs other than labor. Cotton requires a significant amount of land to grow and huge amounts of water. Water costs of clothing may not be immediately apparent to the consumer, but they are actually arguably the most important factor to consider for the grower. It requires a truly shocking amount of water to grow the cotton necessary to make articles of clothing. For example, it requires approximately 400 gallons of water to make a simple T-shirt, while it takes approximately 1,800 gallons of water to grow the materials for a pair of cotton jeans. To put that into perspective, this means that a man wearing jeans and a T-shirt is wearing materials that require 440 Poland Springs water bubbler tanks worth of water to create. The huge water costs of cotton farming strain the infrastructure of the host location. People are using so much water to grow cotton that others are finding it difficult to get access to clean drinking water. We see this problem most in developing countries or developed countries with high levels of poverty/low levels of rural infrastructure (ex. China and India). Over the long term, many areas that grow cotton have unsustainable water consumptions. Water is either polluted by the pesticides used in cotton production or is simply used up growing the plants. The ecological consequences of this are severe and could result in the devastation of local non-cotton fauna. Unfortunately, cotton is among the most pesticide-intensive crops to grow. According to the Pesticide Action Network, cotton production accounts for 10% of the world’s pesticide use and 25% of the world’s insecticides. The pesticides used on cotton crops include a wide variety of chemicals, including some chemicals that are banned in the USA. While the USA may ban a pesticide because it is dangerous, this does not mean that the chemical is not used in the country of origin for you clothing; for example, large portions of Indian cotton has endosulfan and strong organophosphates that are banned in many developed countries. The huge use of pesticides on cotton crops presents a large problem, as pesticide use can have devastating consequences on both the producers of the cloth and the wearer of the clothing. Farmers in cotton-producing India and China have long histories of pesticide damage and extreme health consequences from long-term pesticide exposure. 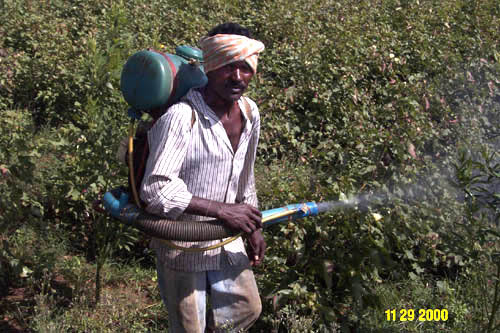 Neurological symptoms, skin irritation, reproductive issues, and respiratory problems are among the common consequences of cotton-growing pesticide use in these areas of the world. When all things have been taken into account, cotton is a very expensive material to create. Your shirt may cost you $10 from Walmart, but this cost assessment completely disregards the health damage done to the farmers who are forced to spray huge amounts of pesticides, the water shortages in cotton growing areas, and the general exploitation of the people who made the material that you are wearing. Once the material for the clothing is grown, it must be turned from raw materials into actual articles of clothing. This process requires significant labor and machining, thus low-cost mass-produced clothing is commonly made in under-developed countries. A vast majority of low-cost clothing sold in the USA comes from countries with low worker protections and labor costs. In the clothing market, the worst offenders in terms of cheap labor are China, Indonesia, Pakistan and Bangladesh. In a report by Jim Hightower of Altanet, it is reported that nearly 89% of Walmart clothing comes from these foreign producers. 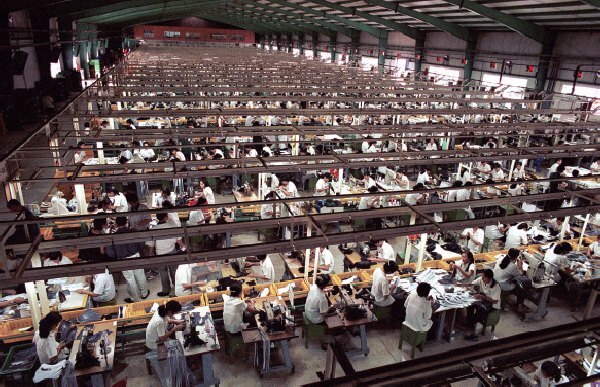 Chinese, Pakistani and Indonesian factories utilize deplorable labor conditions and long hours for little pay to produce cheap clothing. Most clothing production requires energy and some has the potential to damage the environment directly. In places like China, clothing factories are likely powered by dirty coal plants, thus the energy costs for our clothes has a real effect on the environment. In addition to this, some processes—including some dying procedures and many leather tanning methods—have the risk of runoff that threatens the health of those in direct proximity with the production plants. Since so much of cheap American clothing is fabricated in foreign countries, it requires significant amounts of energy to ship to sale. The most efficient method of getting overseas products to American shelves is a freight ship across the ocean, followed by an 18-wheeler to a warehouse and finally in a delivery truck to the sale location. All of these methods of transportation require significant amounts of fossil fuels. The amount of energy that it takes to transport goods to sale locations varies depending upon the locations involved. A locally made product may simply require a small truck and a very small amount of energy to get products to sale; on the other hand, a ship and several trucks, as may be necessary with a shipment of shirts from China, would require exponentially more energy to get the goods to the sale location. Because of this simple truth, the massive outsourcing of textile production to low-cost location has hidden costs that will eventually cause very real effects to our lives—we may pay a little less for the shirt, but the pollution and global climate change that is contributed to by this energy expenditure more than makes up for the difference in cost. When all things are considered, a cheap shirt bought at Walmart isn’t actually that inexpensive—you may pay just ten dollars, but those who actually made the shirt end up paying far more: Farmers who made the shirt must suffer through pesticide poisoning while their environment suffers from water shortages, pollution, and the accrued damage of pest control toxins. Workers who fabricated the shirt accept long hours and terrible conditions, all for almost no money. And, finally, everybody pays when the massive energy costs to create the shirt accelerate the process of global warming and lead to irregular weather patterns.